There is no reason to send blank or empty messages to anyone but just for having fun with your friends, you can do it. By default no Instant manager applications like WhatsApp, Facebook Messanger or Instagram let you send the blank messages. If you think that you can do it by using the space key on Android keyboard of your phone then go ahead and try because it doesn’t work on my Android phone at least. 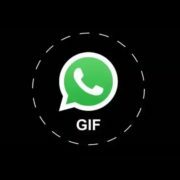 There are number tricks available online those gives a tutorial on how to send empty messages to anyone on WhatsApp or any other IM like Facebook. But here we are going to discuss one of the easiest available methods: One is with the help of an app and other without the app. 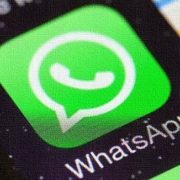 Now on what occasions you can send the empty messages or blank messages to someone on WhatsApp? 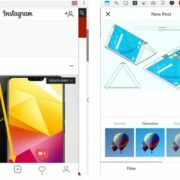 Search for Empty Messages or Bank Message app. Install the App open it. Once the Empty Messages app opens just tap on the green button and select the Whatsapp to send blank messages. Now from the given result copy a blank space given between the words. 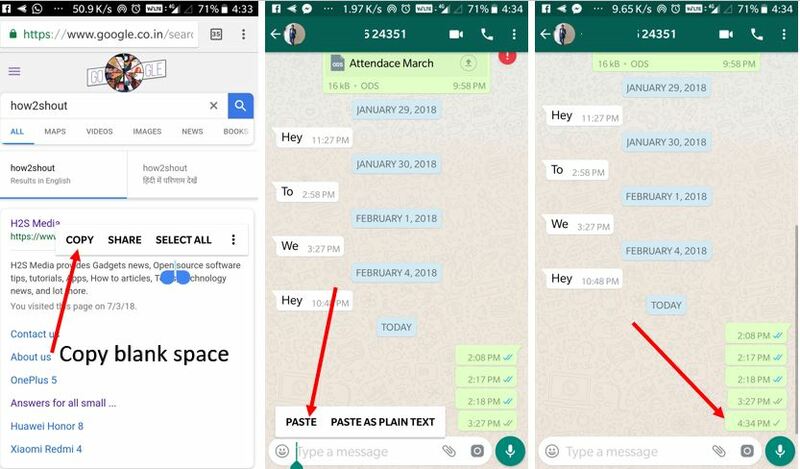 After copying the space go to WhatsApp and paste it. Then tap on the send button and you will successfully be sent the blank message without any app. Step 1: Download the Bank Message App, here is the link. Step 2: Install and open the App. Step 3: Select row or column what you want to send your friend. Step 4: Select the number of Bank characters needs to send. The total number of characters are 10000. Step 5: Tap on the Clipboard button. 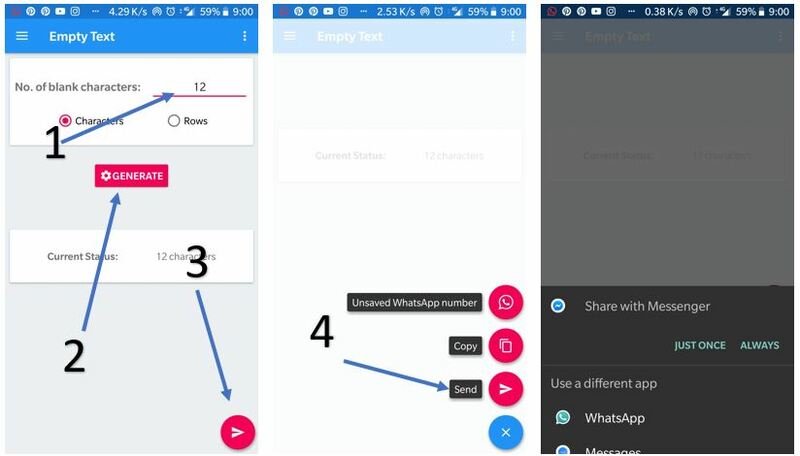 Step 6: Now go to WhatsApp, Facebook or Instagram and Tap for second in the text area. When the paste option appears to paste the blank message. Step 7: Now Tap on the Send Button. Simple!. Here is one more app called Empty Text. Step 1: If you don’t want to use the above app this one is recommended. Step 2: Download the Empty Text from the Google Play store or here is the Link. Step 3: After installing, open the App. Step 5: Tap on the Generate button. Step 6: Tap on the Send button. Step 7: Select the application where you want to send the Empty message and then tap on Just Once. 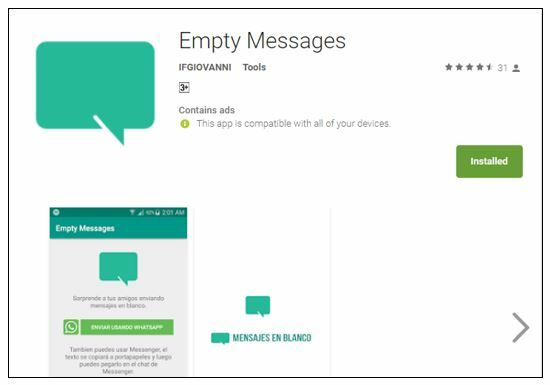 Step 1: First of going to Google Play and download Empty Message app via this LINK. 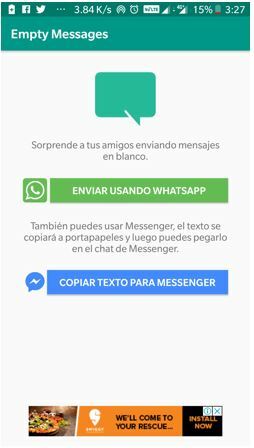 Step 3: The language you will see in this app is Spanish but not to worry. 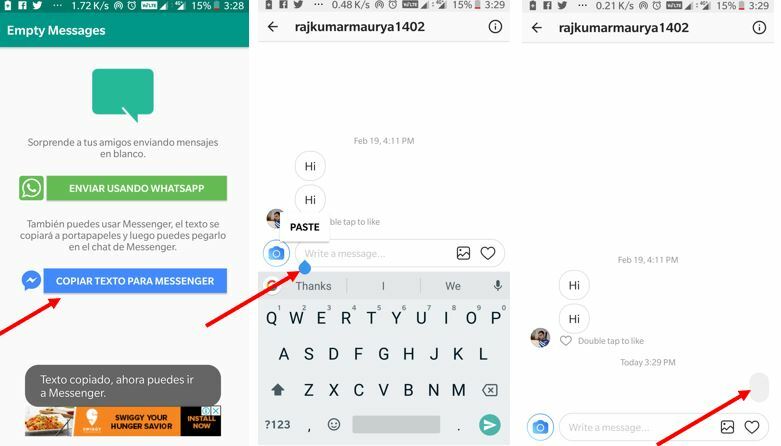 You will see two tabs there one of for Whatsapp and one is in blue colour for a Facebook messenger that can also be used for Instagram. 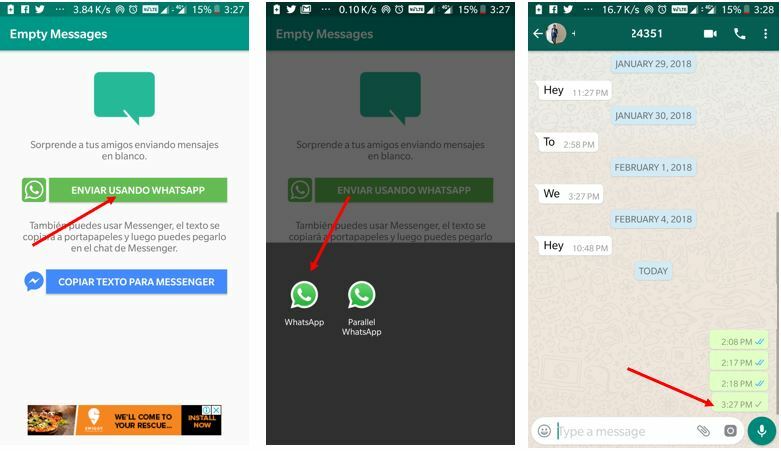 The Empty message app will prompt to select WhatsApp. Select you WhatsApp and then the contact whom you want to send the message. Now just tap on the send button. 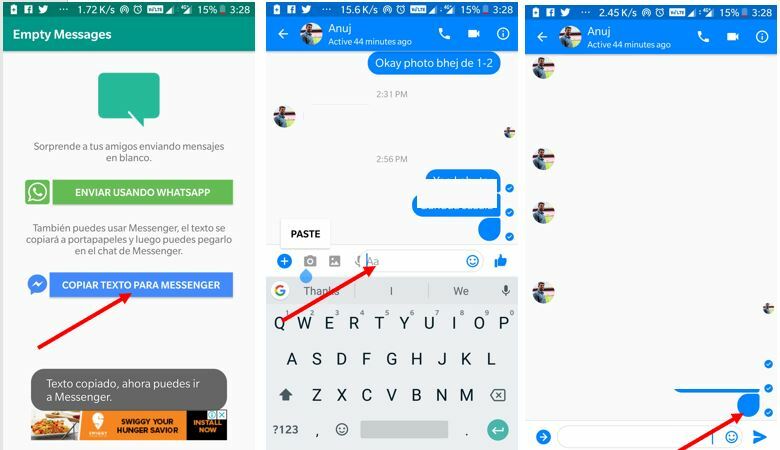 To send a blank message on Messanger tap on the Blue button and a blank text automatically get copied. Now go to the Messanger or Instagram and paste it, and then tap on the send button. Step 1: Type something to search in your Web browser of a smartphone… Here we are searching how2shout. Step 2: Now copy whitespace from anywhere giving between two words in the search results. Here, you can see in the screenshot we are copying the space between the word OPEN SOURCE. 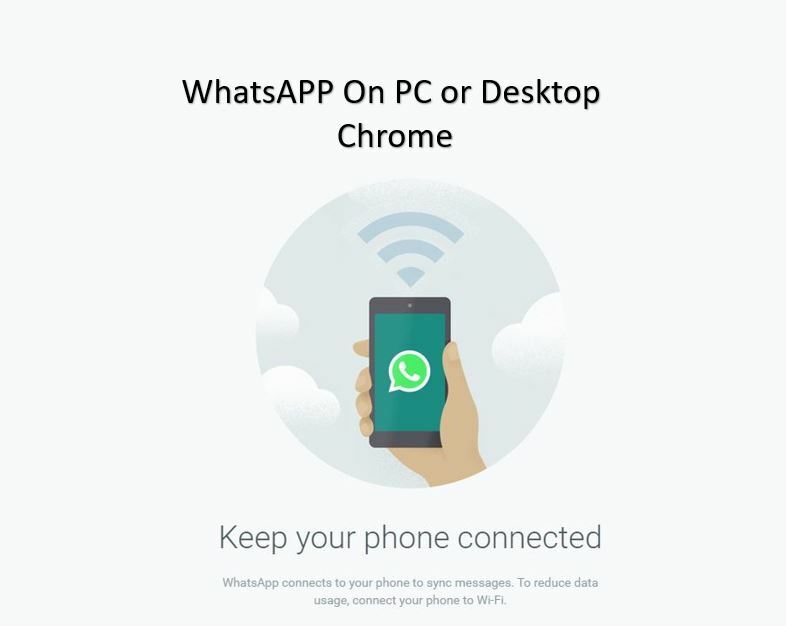 Step 3: Go to WhatsApp, open the chat, tap and hold in the chat box to get the paste option. Step 4: Tap on paste option and hit the send button.